This is part two of a 3 part class. SESSION #2: Saturday Morning: Saturday, February 23, 2019 at 10:00 am – Noon. Proposed Cost: $25.00 for members; $30.00 for non-members. Minimum number required: 10. 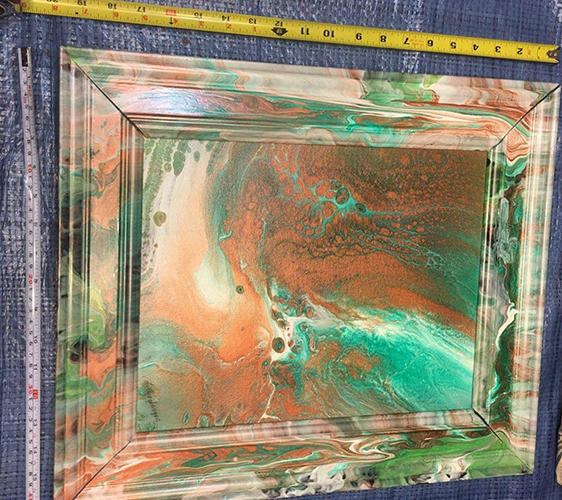 Focus: Beginner / Intermediate Class: Dirty Pour with Picture Frames and Glass, Canvas or Wood. String with Flowers with Picture Frames and Glass, Canvas or Wood. 5 signed up so far.